All travellers know: To feel the character of a city you have to explore all of its different faces and secret corners. If you want to get to know the true and authentic Leipzig you will find information about the most interesting, trending and unique parts of the city here! Have fun exploring! The city centre is the place to go for all kinds of shopping. Here you can find the big brands as well as speciality shops in the courtyards and also a weekly market. Naturally many of Leipzig’s most famous sights such as the Gewandhaus (https://www.gewandhausorchester.de/en/), Oper Leipzig (http://www.oper-leipzig.de/en/), Panorama Tower and the passage ways can be found in this part of town. Thanks to its glorious past in trading Leipzig holds some beautiful architechture in the old town that was financed by rich merchants back in the days. 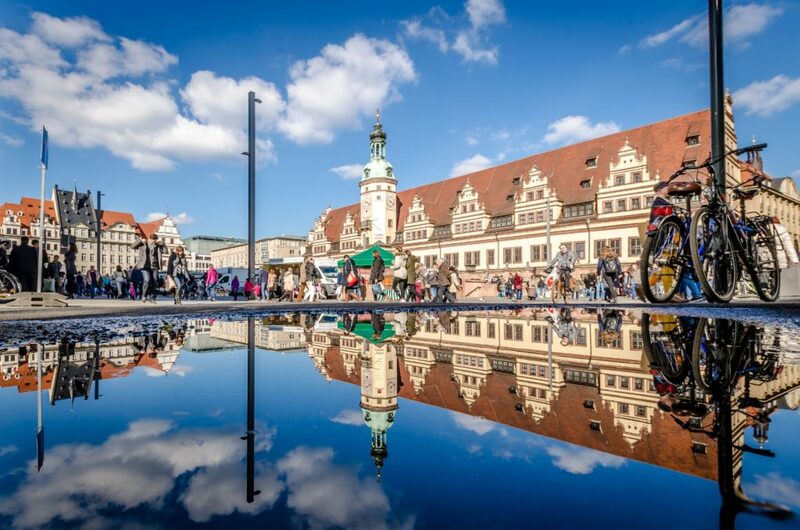 If you want to get to know the history and museums of Leipzig, the city centre is a great place to start! This quarter is one of the most popular residential areas in Leipzig. With its beautiful houses in the style of gründerzeit-architecture, Waldstraßenviertel is one of the biggest and most impressive examples of its kind in Germany. Very close to the city centre the zoo with its tropical rainforest hall Gondwanaland and the stadium of Leipzig are not far away. Of course like all Leipzigers, the residents of Waldstraßenviertel have a beautiful public parc, called Rosental, close by. The rough but charming east of Leipzig is called Reudnitz. This area is popular with students for its rather cheap rents and close location to the city centre. Reudnitz is not the fanciest neighborhood but it holds an authentic charm of multiculturality, young and hip student scene, streetart and all kinds of unique people. Don’t underestimate this area as many fall in love with it at first or at least second sight! One of the most famous and liveliest streets of Leipzig is located in Südvorstadt (Southern Suburb). 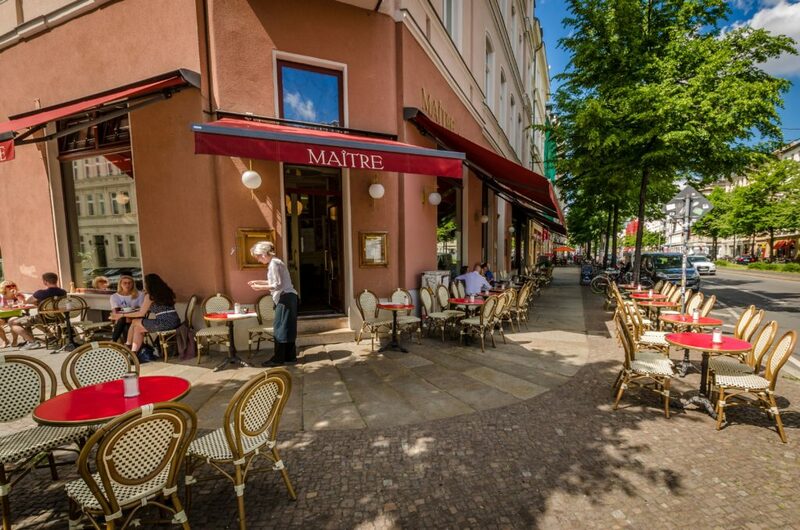 The Karl-Liebknecht-Street, fondly called Karli, connects the city centre with Connewitz in the far south and holds numerous restaurants, bars, pubs, little shops and whatever you could be looking for on a sunny afternoon or a wild night out. Just take a stroll along the street and get inspired by international cuisine and the buzzing atmosphere of people sitting in front of cafés or just along the sidewalk. Südvorstadt is an alltime favourite of Leipzigers and visitors alike! If you pass through Südvorstadt and follow the Karli to the south you will find yourself in curious but endearing Connewitz. This area is a mixture of students, hippies, punks and hip young families – Simply everyone who feels at home in a colourful and diverse place with vegan cafés, old pubs, and alternative music bars. Mainstream never really reached Connewitz and graffity covered streets hold their very unique rebellious charm. The former industrial quarter is probably today’s most trending area of Leipzig. Nowadays, the magnificent brick buildings and the impressive bridges spanning the Karl-Heine-Kanal once designed to turn Leipzig into a port, can be reverently admired. In recent years, several companies have taken root in Plagwitz, including many from the creative sector. 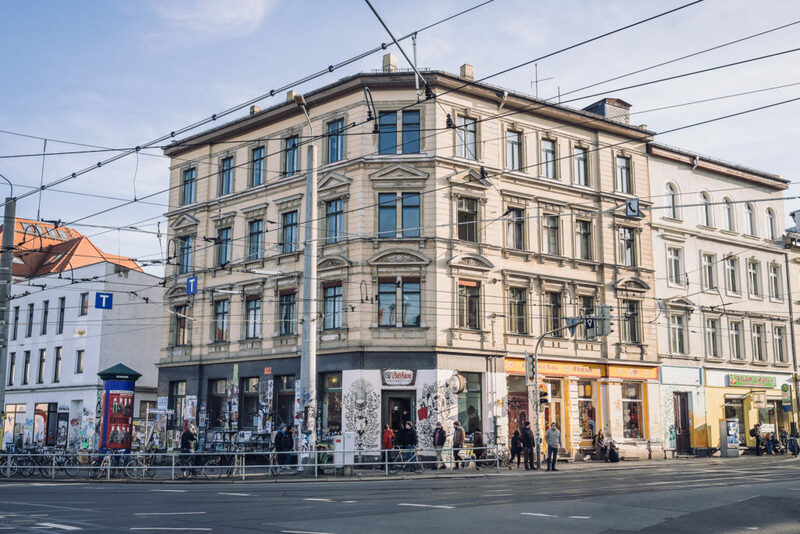 Its outstanding architecture and the bohemian flair of students and creative people make Plagwitz the number one address to experience Leipzig’s unique lifestyle.